Last week I told you that my word for this year is “Finish.” I had reached the point that I was having trouble moving forward with new projects with so many new things hanging over my head, or just taking up space. I realized that all of these unfinished things were creating too much self-imposed stress, and that I wanted to focus some on not just finishing, but finishing well. With that in mind, I resurrected an idea I first used five years ago. It was the year I turned 50 and I set as my goal that year to finish 50 projects. Did I achieve it? Yes, believe it or not. It was a tough year and I got sidetracked repeatedly by the Joplin tornado and a few other things, along with a computer crash that stole my list of completed objects. But complete them I did. So, five years later, the year I turn 55 (how did THAT happen? ), I’ve decided to revisit this goal. Yes, fifty-five projects. Do I have that many things in process? Easily. It is really horrifying to actually look at all of things I have started and not finished. Some of them are big, like quilts, some are small, like knitted socks. Some are quite old (I am thinking of a quilt project I know that I started in 1996 or 1997), and some are recent (a quilt I’m remaking to pattern). I am purposing for this year, 2016, to finish fifty-five projects. There, I said it. It’s scary to actually type out those words knowing that somebody, somewhere will hold me accountable, knowing that I will hold me accountable. It’s also scary because I know my own track record. I do not focus well on what’s in front of me, preferring to go play with the next bright and shiny object. But I also know that for my own sanity I need to buckle down, do the work, and clear my plate of all the excess. I am no longer a runner but I remember well the middle of a run when I was tired and starting to hurt and miles from home. There was nothing for it but to keep running. Some of the quilts will be very like that, I know, almost agonizing to push through problems and keep going. That’s when I’ll need you to be my cheerleaders, to cheer me on when I think I can’t. Can you do that for me? I will tell you now that I do expect there to be some new starts. I have a list of several gifts I plan to make at various points in the year and I have committed to a challenge quilt for which I do not yet have the materials. So I’m not saying no new starts, I am merely saying that I plan to finish more than I start. There may well be no show quilts this year, and there are likely going to be quite a few old uglies. All good, they’ll be finished and that’s what I’m aiming for. You may well ask why I would finish an old ugly. Truth is, I may not always. Some have enough already done that I will choose to finish them and throw them on a bed or even give them away. But some may just need to be gifted in their present state, to the thrift shop. Others will be cannibalized, the blocks thrown in with other orphans for a new life down the road. Some may actually go to live in the landfill. Don’t fret. I am not quick to throw things away (that’s apparent by now, I imagine), but sometimes you just gotta. Anyway, these options, donated, cannibalized, or thrown out may also equal finished at times. It could happen. Fifty-five projects over 52 weeks means that I will need to finish one thing a week, every week of the year, and finish two things in three of those weeks. Am I nuts? Probably, but I’m going to give it a go. I won’t share my list with you because it’s long and would well make no sense to anyone but me, but I do plan to share my finished objects. Not all of my finishes will be quilt-related (there will certainly be knitting too, possibly some beading or jewelry-making, and maybe even painting), but all will be handwork of some sort. Typically, when I’m working every day, ideas start popping up fast and furiously and, while I love that, I am beginning to realize that I just can’t make them all. Truth is, some of my ideas should never be made anyway. Even though each idea seems like a fabulous one at its inception, when exposed to the light of day, some are, um, not so wonderful. I am choosing, for now, to assume that new ideas will continue to pop up in my mind’s eye and if they are really all that fabulous, they’ll still be around when I have time to finish them. I am coming to terms with the idea that not every idea I have is amazing (ahem, yeah, really) and there will always be more great fabric coming out. I rarely have to act today. The quilt at the top of the blog today will be, I hope, among my first few finishes of the year. Since I am looking at so many things that won’t allow for much free-spiritedness, I took advantage of a little spare time this weekend and made this out of my scrap bin. It will be a bit bigger when it’s done and I’m going to machine-quilt it myself. I promise to show it when it’s done so come back soon to see what it looks like finished. 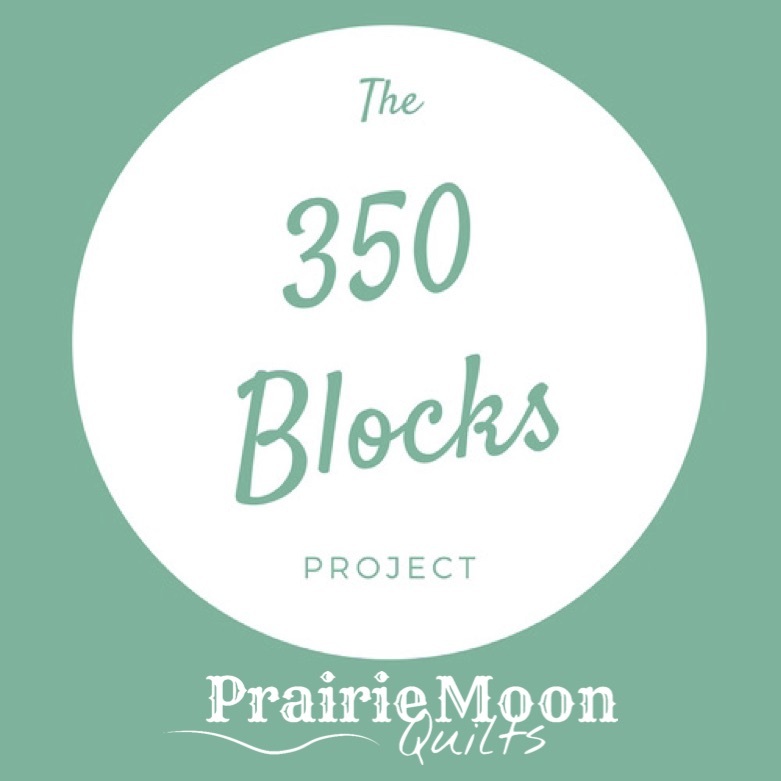 Fifty-five projects. Do you think I can do this? Am I certifiable? Yeah, I think so too, but I’m going to run this race and see where the road leads! Cheer me on? There WILL be a finish soon! I can so relate to your statement about “self imposed stress”. I find that as I’ve gotten older I reach the overloaded level quicker than before. So I’m needing to settle down and make my list of (guessing) about 25 projects that are hanging over me and get started. So I’m joining you in the quest of personally finishing what’s been started. And flourish in the joy of completion. Yes, my word for this year is flourish. I LOVE the word you chose, Jan! “Flourish” is wonderful. Holds such possibilities! Making the list of projects in progress is pretty intimidating, I’ll admit. But, yes, the stress level gets crazy and having it all written down gives us a place to see measurable progress. I’m delighted that you’re joining me! Feel free to post photos of your completed projects! What a great idea! And I’m glad I’m a bit younger than you — I won’t have to complete quite as many things — haha! I can’t wait to see you start posting your finishes. I actually set a goal every year of completing 100 things. So far, the furthest I’ve gotten is 75, because I don’t count the things I do for customers. I’ll be happy to make it to 55 with you this year — game on! Holy cow, a HUNDRED things PLUS what you do for customers?? You are a madwoman. A very prolific madwoman. I’m glad you’re coming to play. It’ll be fun to see what we can all do. (I’ll warn you now that there is a reason some of my things haven’t been finished….some are just…well. Let’s say that maybe only a mama could love them. I need a FINISH partner/ coach. Some of the projects are big but some are fairly small. (Add a leg zipper to hospital pants ; sew 6 hospital gowns for kids, etc) I have let these silly routine projects get in front of my artwork. I need someone to help me prioritize. I have 28 days before I leave town for a month, and I want to come home to a way way way cleaner house than I have now. If you like, you are free to come back to the blog on Thursday. That’s the day I ask people to tell me GOOD THINGS. You could pop in and tell me something you’ve gotten done during the week. Because done is always good, right? It definitely helps me get things done when I know I have to be accountable to someone. For me, that’s here on the blog. Is it scary? Yes. Does it help? Absolutely! I hope that you hear from me on Tuesday. I have had a certain life path that now makes me want to say “I have to make Lori proud”. PLEASE don’t feel obligated! Don’t don’t don’t create new stress for yourself. But I do understand what you mean! I just want to help you have a way to track your progress and celebrate your finishes and wins! This is not bad stress. It is good stress. I need some discipline and some time restrictions. Discipline. I hate the word, truly, but it is one of life’s necessaries. Time? I think we all need more of it and ways to better use it. If I could figure out a way to have just one extra hour a day, I’d be a wealthy woman.